MMAD Architecture began in 2016 by Michael Montgomery. After honing his skills as an Associate at a mid-size firm Michael set out to create a practice with the aim of providing well designed spaces for the intended use. A simple goal that will always be to create designs that are fit for purpose and driven by the clients brief and end vision. 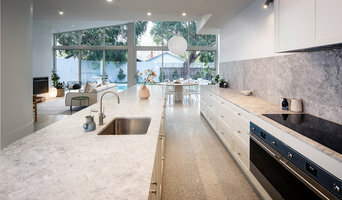 MMAD Architecture takes pride in creating designs for clients to connect with, and which they are proud to show off. Driven by the passion to work together WITH clients, builders and consultants to create quality outcomes all projects of any scale or budget are treated with equal importance. MMAD is also about engaging with people working as a team that works hard together but remembers to have a laugh, enjoy the process and create something special. 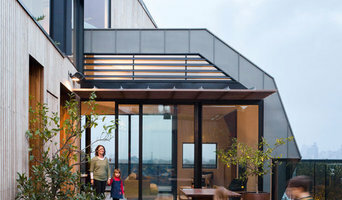 Gardiner Architects is an established practice of four architects and ancillary staff. We have successfully completed various projects in education, health, aged care and workplace, as well as having a continual base of residential clients. It’s not about us, it's about you. You want a home that uniquely expresses you and is simply a joy to be in. Interpreting your dream, your personality, values, and aspirations and taking the result beyond your expectations is our greatest skill. Schulberg Demkiw Architects is passionate about creating contemporary living spaces that capture and reflect the essence of our clients and allow them to realise their lifestyle dreams. Our team of architects and designers fuel their creativity by being actively involved in the arts, academia, design, development and discourse in the wider community. Our influences are varied and diverse ensuring our design remains rich, vibrant, fresh and relevant; robustly supported by our meticulous attention to detail and rigorous systems and processes. It’s personal. It’s individual. It’s your dream, your needs and your lifestyle; it’s our professional expertise, our creativity and our passion. Together it’s conception, born of a great relationship. Beyond the studio, collaborative relationships are at the heart of our project delivery. Experience has built a wealth of knowledge and expertise, allowing us the luxury of hindsight to mitigate potential issues. Great communication and collaboration between studio, client, builder and suppliers facilitates flexibility, adaptability and resolution. QeCAD is a team of experts assisting Architect, Engineers & Contractors to achieve streamlined collaboration within the new age construction processes with 2D and 3D visualization services. We are skilled at 2D & 3D CAD drafting, 3D Rendering, 3D Modeling, Virtual Reality & Walkthrough at great prices with the highest level of emphasis given to accuracy and quality output. Operating since last 17 years, we have not just made clients but built relationships based on trust and reliability that has made us an integral part of the team of all our customers. FMD Architects is an architectural practice with extensive experience in architecture of varying scales, types and budgets. The core work of the practice is boutique commercial, hospitality and residential work. The focus on specific projects enables a high level of client service as well as an intense design process with rigorous detail. A particularity of the practice is its extensive research into materials and product development, which equips it with a knowledge to develop rich and inventive architecture. The personal and collective histories of our clients enrich our ideas on every project. Our methodology allows us to research thoroughly the particularity of any design brief without falling back upon generic response. We add value through an insightful creative process to produce a unique response to each project. We are an architecture and interior design firm, who are passionate about designing spaces that you love and enjoy and feel so comfortable that you don't want to leave. Whether it's in an office, retail, or home environment our mission is the same. We work with limited palettes and natural materials and let the new space (office or home) speak for itself, allowing you to add your own personality without disturbing the designed-feel. Happiness first, design second is our principal - so that means really understanding what you need and applying that in the layout, design and selection of colour and materials. 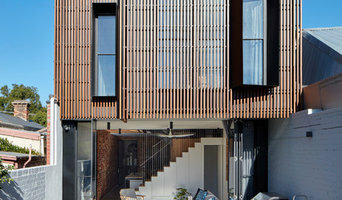 Winter Architecture is a collaborative architecture practice located in Fitzroy and Torquay. 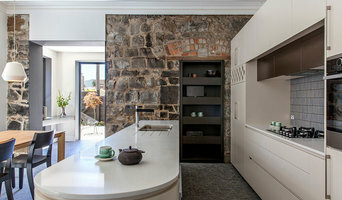 With projects in Victoria, NSW and Tasmania, we work alongside a range of design professionals within our community to provide each of our clients with a unique tailored level of design expertise. Our design approach employs an acute sensitivity to site conditions and client needs, responding to each site in an amalgamative process, uncovering unique possibilities and site potential. We believe in detailing simplicity into each project, through both design and delivery, and in all aspects of practice. Our team of architects and designers have extensive experience in small to large scale residential and commercial project delivery offering our clients a diverse team of professionals for each project brief. With over 20 years’ experience, Canny’s reputation has been built on professionalism, creative thinking and quality. Our award winning architectural, interior design and construction experts in Melbourne can help articulate your luxury home vision. Whether it be a custom designed new home, renovation or multi-residential development, our accomplished team work cohesively to see out each project like it is their own. 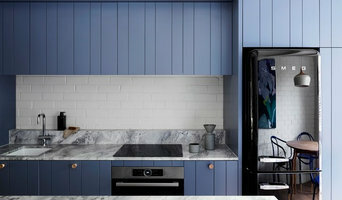 Y Architecture is a small boutique practice based in Melbourne, Victoria. The practice specialises in residential architecture, with a focus on crafted solutions base on clients' needs, budget and site constraints and opportunities. We believe that a successful project is the outcome of successful client and architect relationship. This relationship is born out of In-depth understanding of clients' individuality and sensitive appreciation of our clients' needs. Good design takes time. It requires constant refinement to get to the end result. Y Architecture takes our clients through this exciting journey of discovery of what that outcome might be. With the aim of clients' satisfaction in mind, we explore options and opportunities whilst maintaining clear communications, balancing budget and program target. We believe that clever architectural design can make a difference in everyday life. Clever design produces functional yet aesthetically pleasing outcome which enhances quality of life for its occupants. No project is too small for clever ideas. No budget is too small for creative solutions. We specialize in designing creative sustainable architecture & providing project management that delivers construction to real budgets & timelines. Based in Melbourne, Australia we have designed award winning sustainable buildings across the city’s Inner North, Bayside & Eastern suburbs and surrounding coastal and rural locations.